The client is the largest cement company in India and amongst the leading producers of cement globally, providing a range of products that cater to the various aspects of construction, from foundation to finish. The company is also India’s largest exporter of cement. 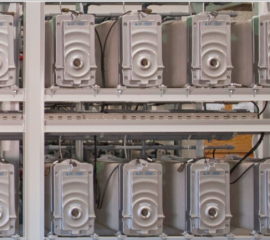 The client’s captive power plant had a conventional mixed bed demineralization system, which generated demineralized water with conductivity less than 0.2 microS/cm and Silica less than 0.02 mg/l for their high pressure boiler. Due to the scarcity of fresh water available in the region, the client decided to recycle and reuse the wastewater generated in the facility and use it for boiler feedwater makeup. This solution would also enable them to reduce their fresh water intake. Combined feed from three wastewater sources were considered for recycle – boiler blow down, cooling tower make-up waste, and coal washer. All three of these streams were discharged as wastewater. 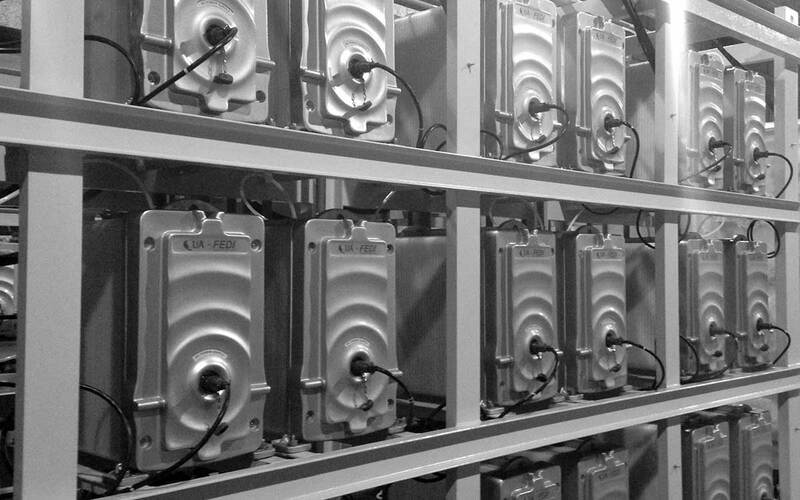 The end user and the consultant evaluated various demineralization solution options and determined that the reverse osmosis process followed by electrodeionization was the most viable option on account of no hazardous chemical handling, lower space requirement, low operating cost, and a quick payback of less than 2 years. 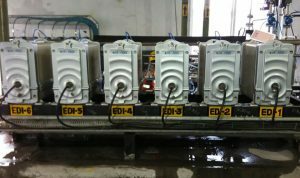 The combined waste stream undergoes comprehensive pretreatment, which includes clarifier, media filtration and ultrafiltration; and then is taken through a two-pass reverse osmosis system before feeding to the EDI system. 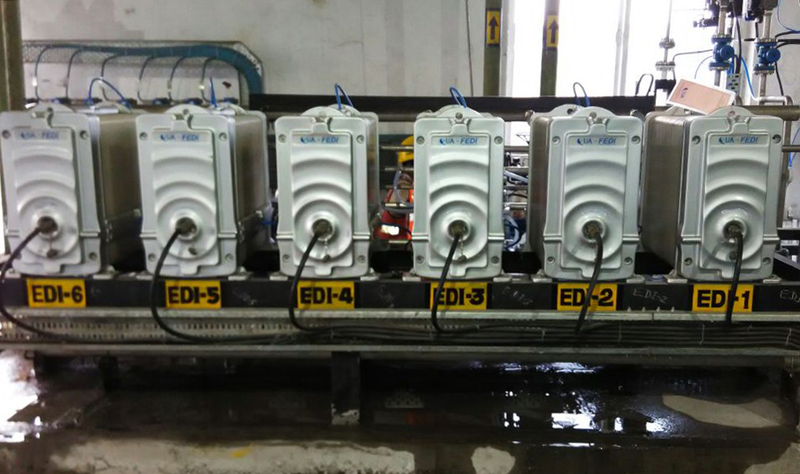 The client chose QUA’s Fractional Electrodeionization (FEDI) technology for the RO permeate polishing as the final demineralization unit of this project. 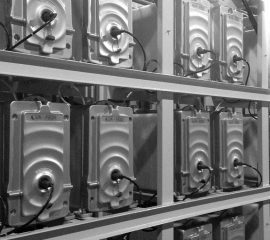 FEDI Dual Voltage technology was preferred due to its capability to withstand higher feed hardness as compared to conventional EDI. Feed Hardness is a main limiting parameter for a conventional single stage EDI due to associated scaling, which results in performance issues. 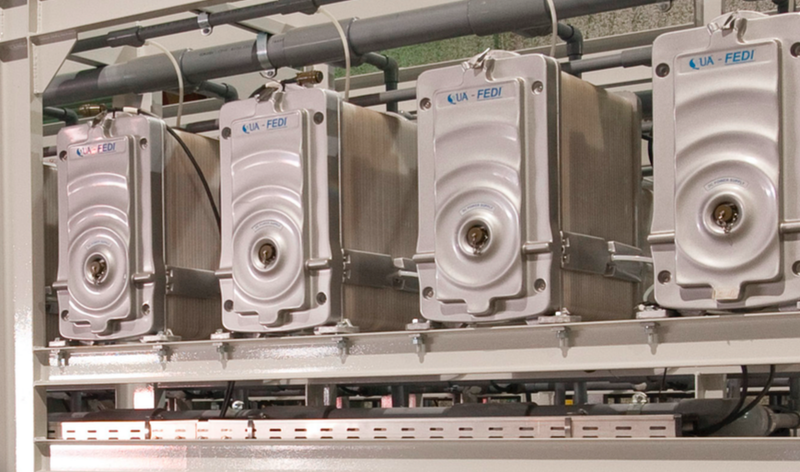 The dual voltage in FEDI allows higher flexibility and tolerance to inlet water conditions, lowering the risk of hardness scaling. 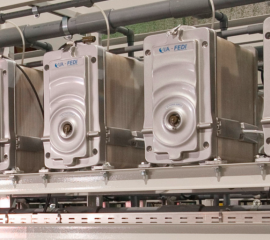 Additionally, it optimizes power consumption, improves plant’s design economics and reliability. 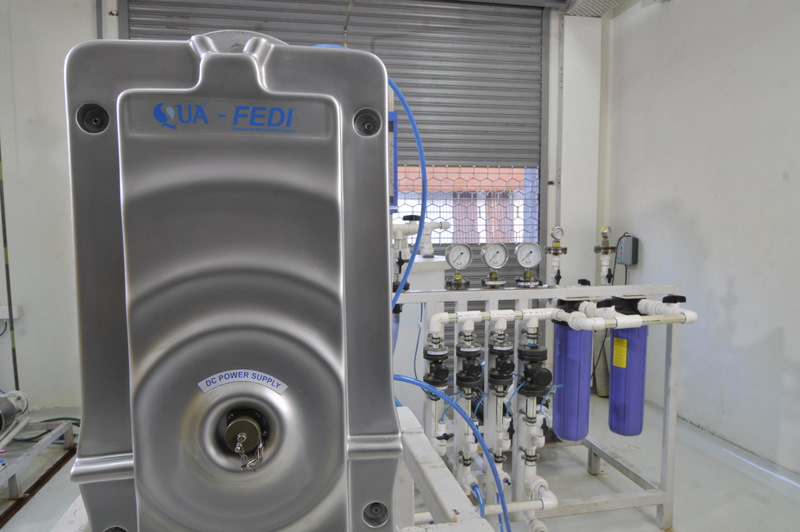 In this installation, FEDI has been successfully delivering superior product water quality with low silica and conductivity levels. 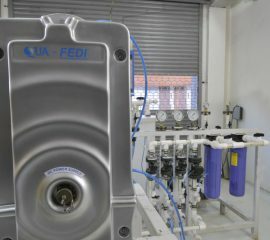 The FEDI system is designed to polish 21m3/hr of RO permeate with final product water conductivity less than 0.2 microS/cm and 0.02 ppm of reactive silica which is further used as boiler feed. The FEDI system has been in operation since early 2016. The following graphs present the operational data for feed and product conductivity and outlet silica. The product water conductivity has been consistently less than 0.2 microS/cm and the product water silica less than 0.02 ppm. The client has been satisfied with the performance of the FEDI system and has been able to substantially reduce the boiler blowdown, due to consistently low silica and conductivity in the product water. The reduction in boiler blowdown due to a robust FEDI solution has resulted in good amount of savings in operating expenditure for the client and provided them with a reliable, long term solution for their process.